31. 03. 2019 12:43 14 (10 - Latvala Jari-Matti / Anttila Miikka): You can make a good time here if you are taking risks and committed. If I can get one or two points I will be happy. It was okay but I am missing something - like I was all weekend. I now need to get a completely new energy for Argentina. 31. 03. 2019 10:42 13 (10 - Latvala Jari-Matti / Anttila Miikka): Beautiful conditions. A very beautiful stage. We took it relaxed because the Power Stage is now more important. 30. 03. 2019 18:14 12 (10 - Latvala Jari-Matti / Anttila Miikka): I know that the car has potential, it's just the driver. I need to go to sleep and think about the driving more. 30. 03. 2019 17:03 11 (10 - Latvala Jari-Matti / Anttila Miikka): I haven't been driving very well in this rally. I tried to push more and cut in. My mistake. 30. 03. 2019 15:03 10 (10 - Latvala Jari-Matti / Anttila Miikka): Kris was driving really well. It's an interesting stage, it was okay for us. 30. 03. 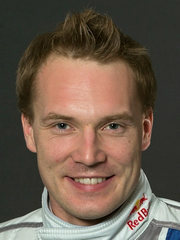 2019 11:10 9 (10 - Latvala Jari-Matti / Anttila Miikka): Quite okay. Different surfaces and surprisingly slippery, with gravel at the end. Generally okay. 30. 03. 2019 10:04 8 (10 - Latvala Jari-Matti / Anttila Miikka): I knew I would lose time. I had a good rhythm but I did this stage only once last year before I crashed and still my notes were not precise enough. I was braking far too much in the corners. 30. 03. 2019 10:00 7 (10 - Latvala Jari-Matti / Anttila Miikka): Nothing special. I crashed on this stage last year so I didn't do the second part properly and my pace notes needed a bit of fine tuning. 29. 03. 2019 18:53 6 (10 - Latvala Jari-Matti / Anttila Miikka): A disappointing day. I was expecting a bit more. One bad driving stage, and then the puncture. That one stage Valinco has been causing problems for us, otherwise not so bad. 29. 03. 2019 16:00 5 (10 - Latvala Jari-Matti / Anttila Miikka): After 2km we got a slow puncture. There was gravel at the start and perhaps we got a sharp stone in the tread. Nothing special, just one of those unfortunate things. 29. 03. 2019 15:56 4 (10 - Latvala Jari-Matti / Anttila Miikka): My notes have not been good but this was okay. Getting better. 29. 03. 2019 11:03 3 (10 - Latvala Jari-Matti / Anttila Miikka): The pace notes are not good enough, they are too slow and I'm not driving fast enough. I tried to use notes from 2015 and you can see how they worked. Incredible. 29. 03. 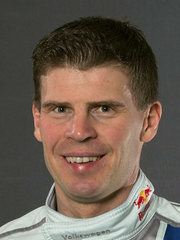 2019 10:02 2 (10 - Latvala Jari-Matti / Anttila Miikka): I don't understand. I felt pretty good but the time is not. Very, very strange. I didn't expect to be that slow. Perhaps the notes were too cautious. 29. 03. 2019 09:04 1 (10 - Latvala Jari-Matti / Anttila Miikka): I didn't get held up by Seb - but I was disturbed by the the tyre marks I saw in the road.